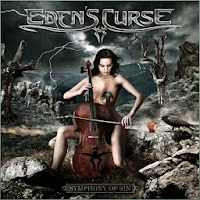 RockUnitedReviews: EDEN'S CURSE: "Symphony Of Sin"
Well I guess we need to get the fact there's been quite an important lineup change out of the way first. The good news is new vocalist Nikola Mijic has slotted in perfectly. And as I've said before, if you don't like the singer then you'll struggle to like an album. For me this release delivers everything you want in a melodic hard rock album. 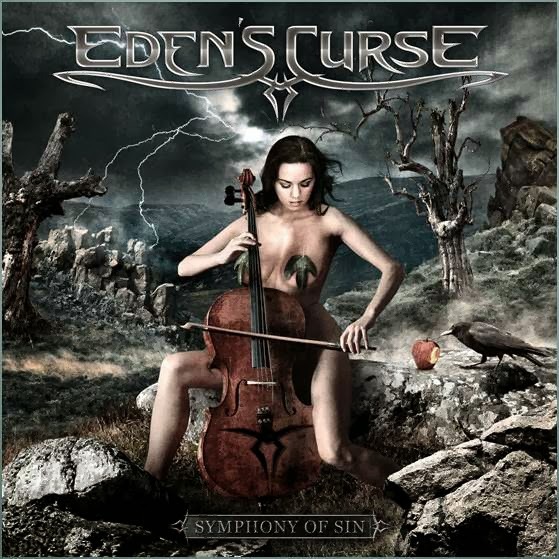 I would say that whether you're already an Eden's Curse fan or not it will not disappoint. With some albums I'm sent I play them through once and find I can't remember a single thing about them. This album has thankfully got the penmanship of Paul Logue behind it, with the end result being a guitar fueled album of superior song writing. I think the simplest summing up would be, would I buy this album if I hadn't been sent a promo copy? Damn right I would, it's going to be somewhere in my list of favorite albums of 2013. Another 4 RRRR album for me.